Surprise visits have not always been my idea of a good time. There was always a sense of dread, a lack of control of the situation, and a possibility of being “caught” doing something I thought I shouldn’t be doing. If I knew someone was coming that I really didn’t want to see and who wouldn’t give me an exact day or time, my anxiety level went through the roof–it was like a real-life game of Jack-in-the-box, I knew it was coming but didn’t know when, and always, the POP was more scary than the actual event. 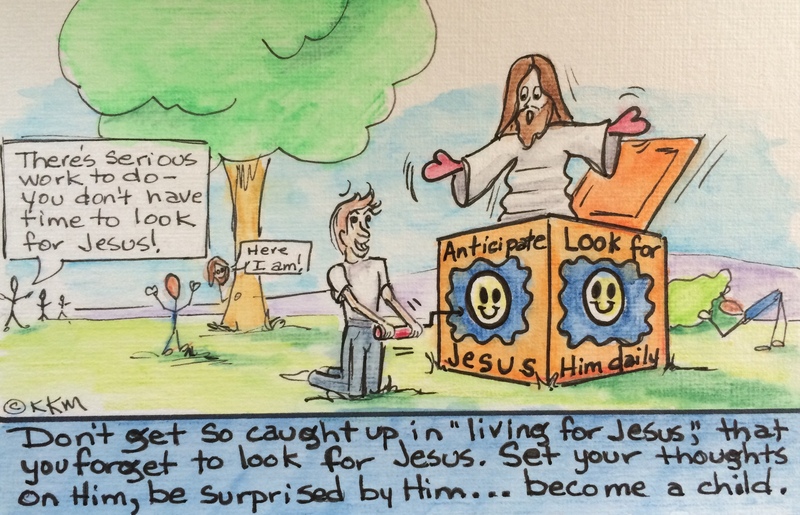 Are you looking for Jesus to “POP” into your day?